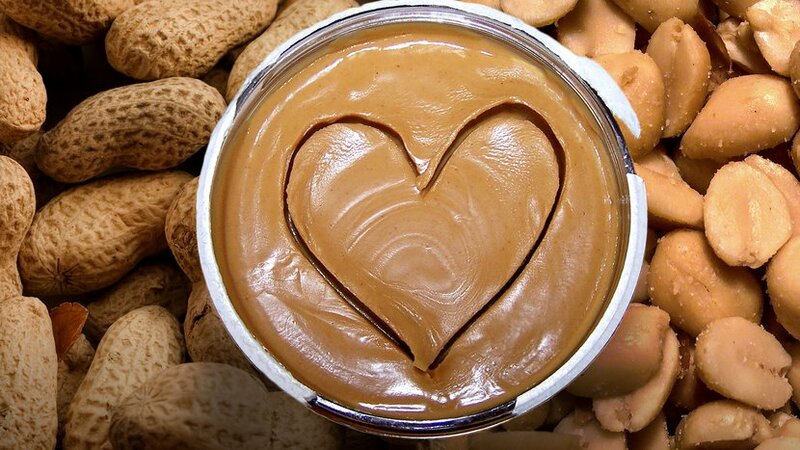 First comes love, then comes marriage, then comes…a peanut butter business… obviously. You’ve probably seen this adorable logo all over Los Angeles but never known the story behind that cute little peanut butter heart. We spoke to the owners and cracked open the details of their delicious company. Back in 2013, lovebirds Valerie and Zachary Fishbain were planning their upcoming nuptials. 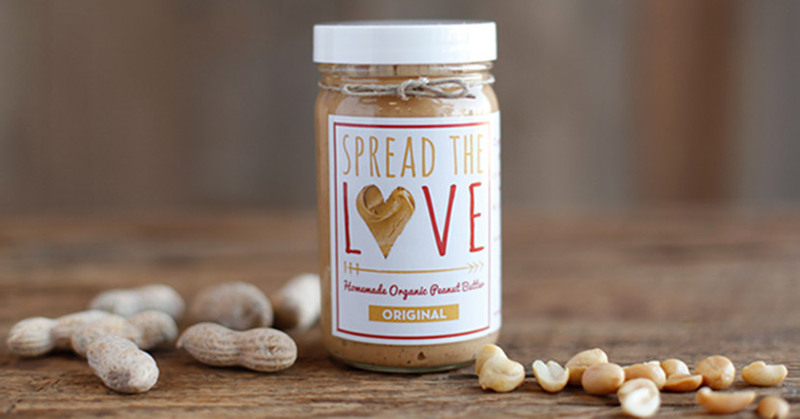 Interested in giving their wedding guests a unique and healthy party favor, they came up with the idea of making homemade peanut butter. They had no idea at the time that that special day would not only mark the beginning of their lives together but the start of a successful business partnership too. After the wedding, they were shocked that their little gift was getting such rave reviews. 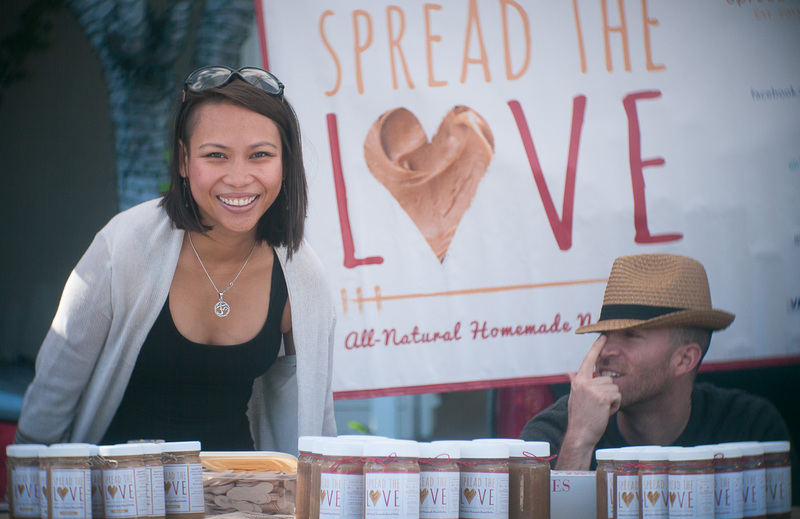 Each day, Valerie and Zach were getting as many inquiries into their amazing peanut butter as they were congratulations on their marriage. The verdict was loud and clear. Their peanut butter was clearly the best anyone had ever tried. Their family and friends couldn’t wait to get their hands on another jar of the creamy good stuff. Soon, the Fishbain’s wedding guests spread the word across Los Angeles and Valerie and Zach realized that this could easily turn this into a business. Now many years later, Valerie and Zach look back on what set them apart and what made their company unique. Despite their growth, the couple has never lost sight of their original purpose; making something real that comes from the heart. Every jar of their nut butters are made in small batches by hand. It takes hard work, tons of time, and a lot of love! That’s probably the reason why the named their spreads “Spread the Love” because there’s a lot of love squeezed into every jar. 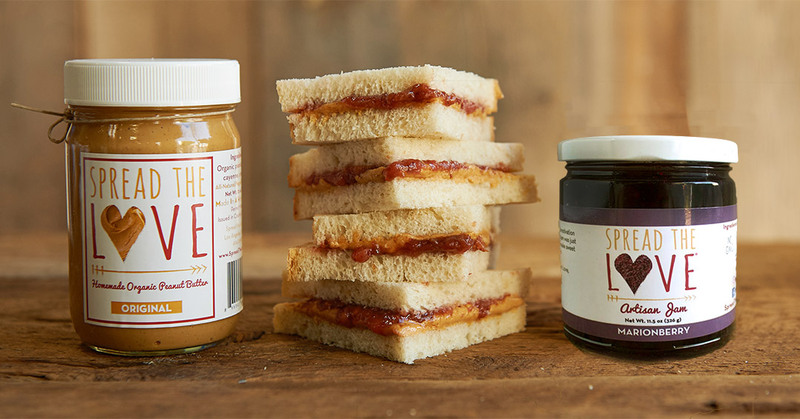 Speaking of jars… Spread the love also makes delicious fresh jams like their newest addition, Marionberry! Made from perfectly ripe pacific northwest marionberries (a relative of the blackberry) this jam is as juicy and sweet as the berries they’re made with and that’s because Spread the Love never adds unnecessary ingredients, like pectin or water. This jam is just the way Mother Nature would have made it, and we like it like that. Try it in all complete FarmBoxes this week! Or, add them to your upcoming order.